As a women, it is very important to look her best before taking her daily step into the outside world. Her hair and face should always compliment each other. For most, keeping up with your beauty is a “MUST MUST MUST!” From Cara Delevingne to the Kardashians, brows have become the most trending beauty fashion since 2014. MyTopFace love to see eyebrows on fleek! We love to see brows that are well groomed, filled, and shaped. And, who loves this amazing idea like us? The Boom Boom Brow Bar, of course! 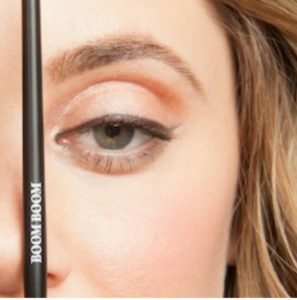 The Boom Boom Brow bar is just as obsessed as we are with brows. The Boom Boom Brow Bar is a place to get a perfect brows. The beautiful, Malynda Vigliotti, is the eyebrow queen. She definitely makes sure your eyebrows will be on fleek when you come to New York City and enter the Boom Boom Brow Bar. 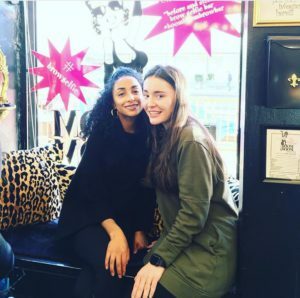 MyTopFace was able to sit down with her and her quality control coordinator (Janelle) and experience the “Grand” of the brow bar. MyTopFace: Between the tweezing, tinting, and waxing services, how long does each service typically take? 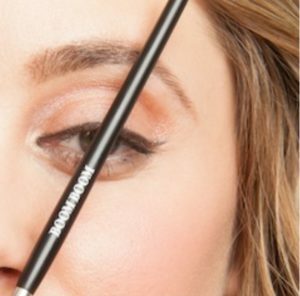 Brows tweeze: It takes 20 minutes. It takes longer because you have to pluck out each strand versus the many hairs you can take out at the same time with wax. People who are on medications that make their skin sensitive usually have to have their brows tweezed. Upper Lip Wax: It takes about 10 minutes. We use Boom Boom Flash Wax, which is a low temperature wax so it’s really gentle. · Advise if you are using RETINOL, ACCUTANE, and/or an ANTIBIOTIC – they make skin ultra sensitive and your technician may choose to tweeze instead of wax. · NO DOUBLE DIPPING!!! A waxing technician should never double dip! Wax is not kept at a hot enough temperature to kill bacteria, double dipping can cause cross-contamination (meaning infection or viruses are transmittable). · During a service, wax should only be applied to the same area of skin twice – no if, ands, or butts. · After waxing, a soothing oil (Boom Boom prefers grapeseed oil) or Bacitracin Zinc should be applied and then wiped away with antiseptic wipes to keep area super clean. 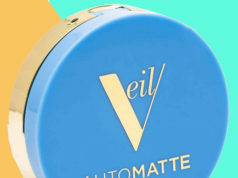 · Avoid sun exposure, extreme heat, and aggressive skin treatment for 24 to 48 hours after waxing.  Use a low temperature wax like Boom Boom Flash Wax – it’s gentler on skin. 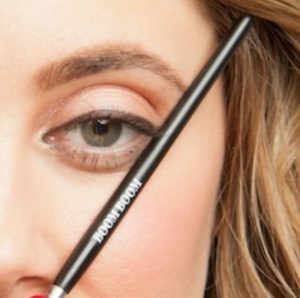 Boom Boom Brow tint: It takes 15 minutes. We use a vegetable dye that lasts 3-4 weeks. It beefs up brows by coloring even the tiniest of baby hairs, so there is more to work with when shaping. Tammy Faye Lash tint: It takes 15 minutes. We use a vegetable dye that lasts 3-4 weeks, it darkens lashes and makes them look more dense – you can really skip the mascara. MyTopFace: What made you decide to open up your own brow bar in New York, especially the locations? Malynda: I’ve opened Boom Boom Brow Bar because at the time there weren’t any walk-in brow bars in NYC. I thought it was a great concept to focus on convenience, affordability and FUN! I chose the location because I had an apartment there and was familiar with the area. MyTopFace: What the most top three popular “celebrity” brow that most of your clients request? 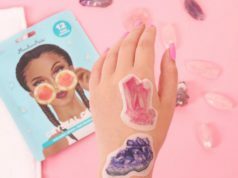 MyTopFace: What is your most popular product sold? Malynda: It’s the Brow Job growth serum. Everyone is trying to grow back their brows from the ‘90’s. MyTopFace: Compare to other brow bars, what made you decide to make your services more affordable? 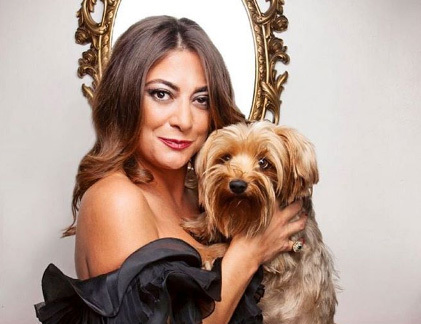 Malynda: I’m Italian, so hair removal is a necessity for me and many others, so I wanted to create a place where people could just stop by, enjoy the company, have fun and walk out feeling great for not a lot of money. MyTopFace: Since you served over 165,000 brows, is it best for new clients to make an appointment or walk-ins? Malynda: It’s actually up to 199,999 +, can you believe? To make it easier for busy people, we are walk-in only. MyTopFace: Do you have any tips or tricks for anyone that’s DIY’ing their own brows? Janelle: YES! You need to customize your brows to enhance your own unique features, but there are some general guidelines to follow (see below). And always remember, brows are sisters, not twins…do not they to get them to be EXACTLY the same. The space between brows should be equal to or a little wider than eyes. Use a makeup brush or pencil to assess. Start: Hold the brush parallel to the side of the nose, where the brush meets the brow is where the brow should begin. Arch: Hold the brush parallel to the outside edge of the colored part of the eye (the iris), where the brush meets the brow is where the highest part of the arch should be. End: Extend the brush diagonally from the nostril, following the outside edge of the eye toward the brow. Where the inside edge of the brush hits is where the brow should end. MyTopFace: Are any of your products tested on animals? MyTopFace: What are your expectations that you have for your technicians do you require before performing services at the the Boom Boom Brow Bar? Janelle: The Boom Boom is obsessed with consistency of services so ongoing training is essential for Boom’s success…hence my new title of quality control coordinator. MyTopFace: The holidays are always coming around, which holiday has the Boom Boom Brow Bar tweezing and waxing the most? Janelle: Brow should be shaped every month – so we see most people every 4 weeks, but there is always a crowd here during November and December to get ready for the holidays. On Friday, Saturday, and Sunday, there is a 40 minute wait as soon as the gate opens, that’s why Boom Boom Booty and Brow Bar opened at 30 Greenwich Ave, to handle the overflow. If you need a little boom or pop in your eyebrows, you need to go check out Boom Boom Brow Bar.